Sevai is a type of rice noodle which is popular in southern India. 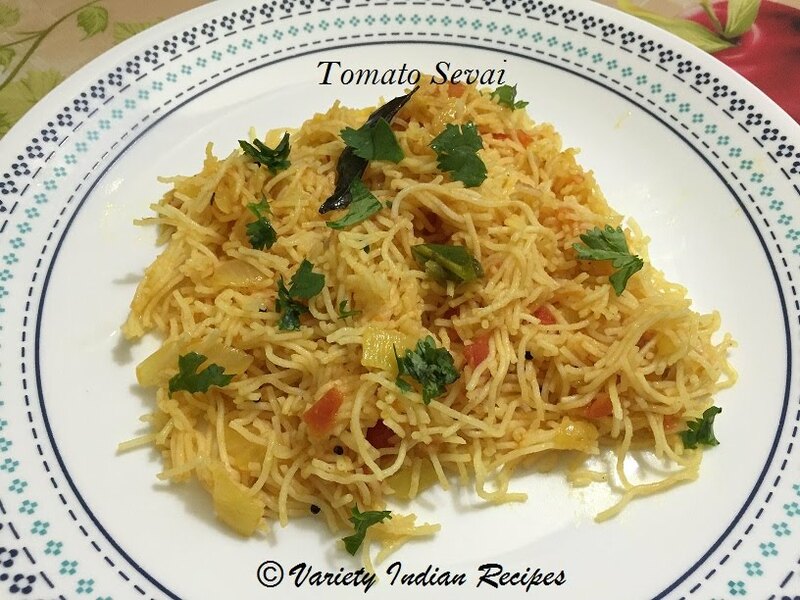 Tomato sevai is a delicious and easily digestible breakfast recipe. Cook Idiyappam and allow it to cool for sometime. Loosen it and set aside. Heat oil in a pan, add mustard seeds. Once the mustard seeds splutter, add curry leaves. Now add onions and green chillies and saute till the onions become translucent. Add tomato followed by turmeric powder and salt and mix well. Allow the tomatoes to cook until they are tender and mushy. Reduce the heat and add the cooked Idiyappam and stir gently until it gets well coated with the tomato mix. Garnish with coriander leaves, turn off the flame and serve hot.